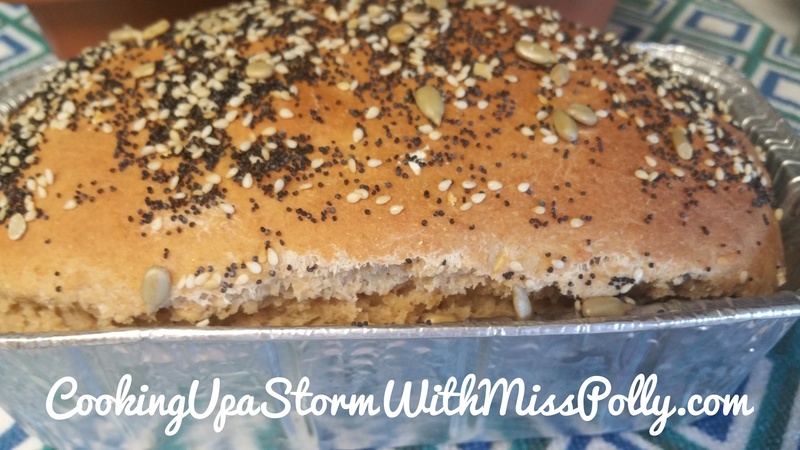 Cooking Up a Storm With Miss Polly – Page 388 – Cooking Really Can Be Fun! Our boat (or ship, you choose), had four eating areas, the pool area (which was normally too cold for us), a buffet restaurant, a sit-down main dining room, and a steak house. We usually took breakfasts at the buffet restaurant because we were rushing off to some day excursion. Our first day on board, after a quick lunch, we got to our cabins and crashed. I got up a little earlier and started to explore. At the pool area, there were grilling meats, vegetables, and shrimp as an afternoon “snack”. This was before we left the dock. I definitely could get used to this. Alas, for the duration of the trip, we were either not on board for afternoon snack time, or they had different selections. Sigh. I will tell you what I did later today….. This is much easier than you would ever guess. 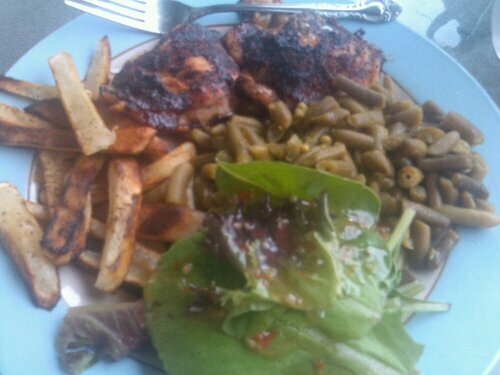 My friend Nick & I made this great easy week day dinner last night and when it isn’t 1:26 a.m. I will tell you all the step-by-step of how it was done. I will also show pictures of the products I used to make it with, making it easier for you my readers & food lovers. Check out this amazing recipe from Green Thumb Farming. I guarantee this is so easy, even if you had trouble making bread before, you will want to try it over and over again. 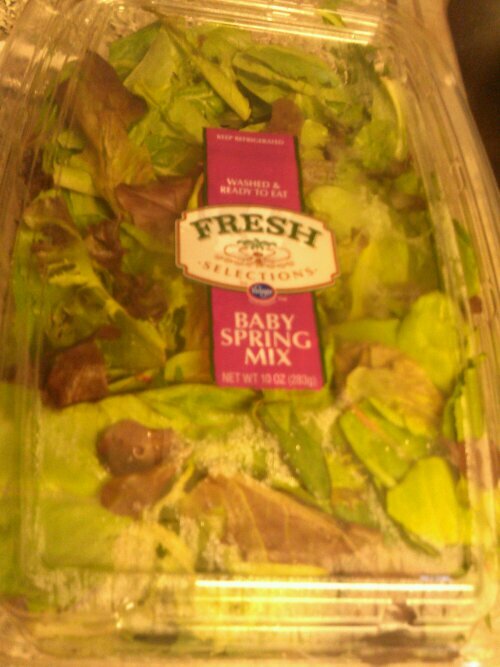 Fresh Selections Baby Spring Mix is Just What it Claims- FRESH! Of all the packaged, prewashed lettuces I have bought, Fresh Selections is by far the best. Each leaf was perfect, fresh, green and this eclectic mix has just the right combination of baby greens to please your palate and your eyes. This will make you one beautiful salad too! Being that the OCTA bus schedule was two hours incorrect so I found myself at a Starbucks in Fountain Valley with no more buses going in either direction. After walking over two miles with my two friends, who also rely on our less-than-perfect bus system, my friend and I did some grocery shopping. It was late, I was tired and I was hungry and didn’t want to invest too much time. I got the Del Real Pork with Salsa Verde, which was outstanding. Lots of pork with a piquant green sauce. 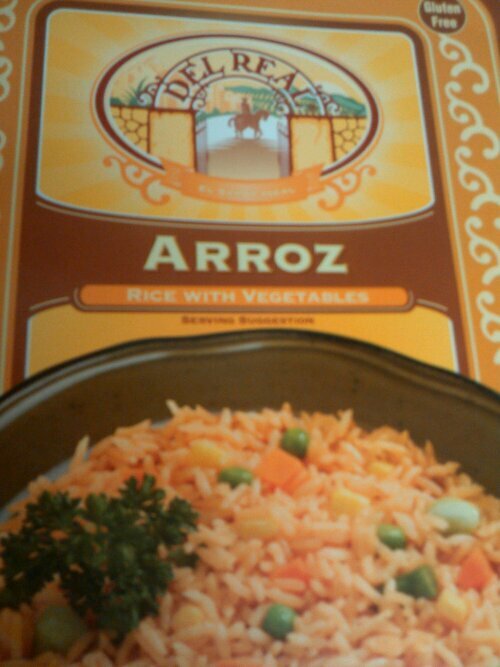 The Arroz (rice with vegetables) was cooked just right and I swear if I had set my table and filled the casserole dishes with the rice, my guests would have thought I made it all. 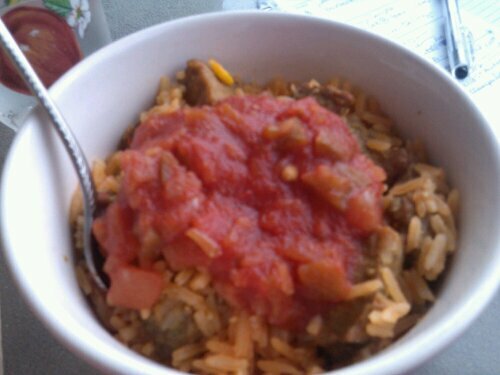 I had some Arroz with Vegetables and some of the Pork with Salsa Verde on top. For only $3.98 for a huge microwavable rectangular serving dish each I rate it a 10 out of 10 in Polly’s Picks. Based on value, ease of preparation, quality of ingredients and the finished product when prepared as directed. Enjoy and I HOPE YOU HAD A GREAT SUNDAY.